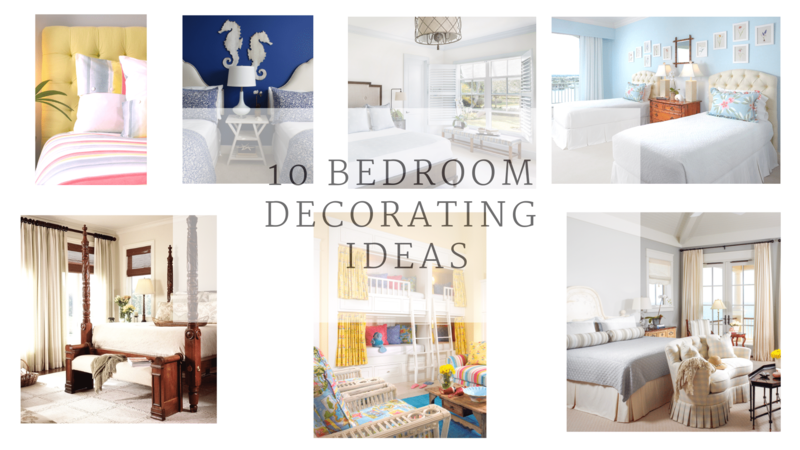 Ten Bedroom Decorating Ideas from my Design Portfolio. The Bedroom is by far one of my Favorite spaces to design and decorate. It can be a fun, serious, a room that is a sanctuary, a room for guests, a room for kids, the list goes on and on. I think that’s why I love to design and decorate bedrooms the options are endless. Could be because I have design SO Many! Every project has 2-3 and sometimes 4 bedrooms. Practice makes perfect? I’ve gathered a variety of bedrooms from my portfolio. Had to limit it to ten…could have gone on and on, but decided to start with ten. Bedroom Bliss can be found, if you have the right pieces. Finding THE perfect piece of furniture is a great way to start a room. Looking for some ideas for beds, here is a small collection of some of my favorites right now. Each of them is a statement piece and can work with almost any style. I happen to be partial to poster beds they have great presence and set the tone for the rest of the room. How cute is this little guest bedroom? It’s an easy look to create, even if you are not ready to paint the walls. The basic of the room is the headboard against the wall color. 1. White upholstered headboards pop off the blue wall. The Batik bedding brings pattern to the room. If you do not want to commit to that much pattern – go with solid bedding and patterned pillows. 3. White Night or Side Table between the beds. Here we used a white slatted wood table as a nightstand. If you are not into seahorses, go with something else, mermaids, whales, shells anything beachy will work. You could easily get the same look with white walls, just reverse the colors. Let a Blue Headboard be the star of the room. Still the same look without the commitment to a painted wall. 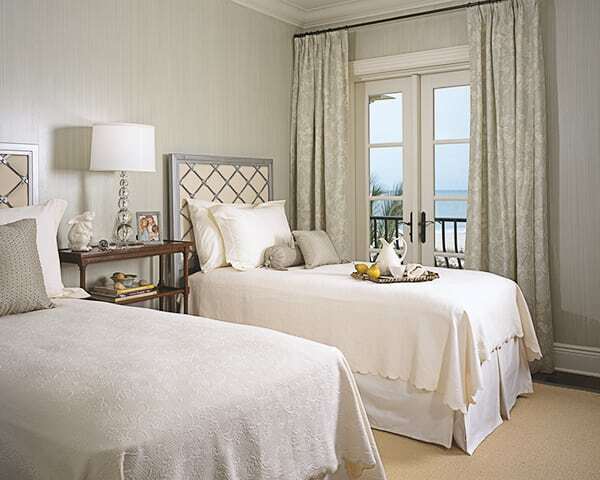 Here are some other ideas for a cute coastal bedroom. 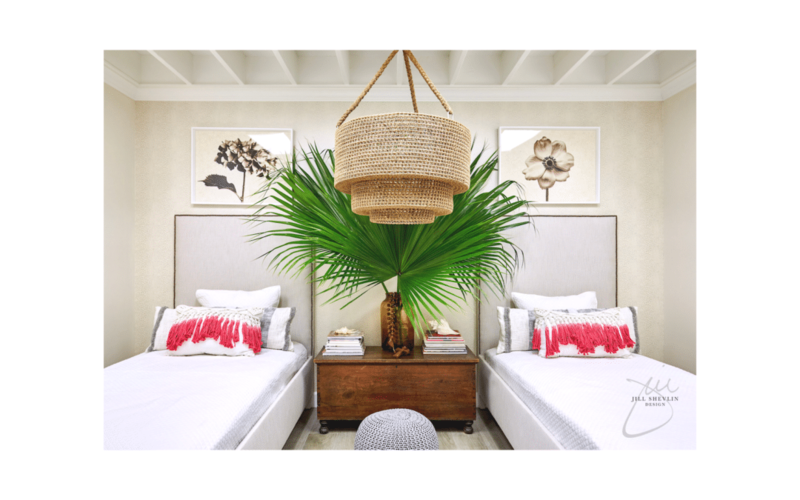 Bedrooms are easily one of my favorite spaces to design. They seem to come together quickly and without much torturous thought or problems involved. Not Always the case, but the majority of the time they are fun and easy to take care of. 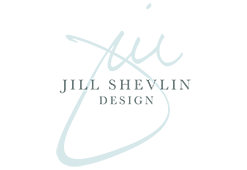 There is the ever-so-slight possibility that because the bedroom always out number the main spaces – I have designed my fair share. Here is a small mix of various bedrooms I have done over the years.